Tickets for our March 9th tour are available now! We all lead through our own example! And there is no better place to illustrate that basic truth than at Arlington National Cemetery. One of our nation’s most compelling—and little-known—leadership experiences can be found at Arlington. Among its tombstones and memorials lie American paupers and presidents; soldiers and civilians; warriors and peacemakers. All of whom gave at least a portion of their lives to the defense and preservation of freedom and liberty. Many of these men and women we can never forget; most we will never know. The lives of these men and women reflect the history of our nation from its inception to today. New chapters of our history are reflected in the tombstones that are added daily, at a rate of 25 per day. Every man, woman, and child who now rest at Arlington have distinct stories that illustrate leadership, service and sacrifice and can provide leadership lessons for us all. 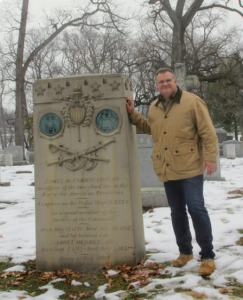 From John J. Pershing and Omar Bradley to John F. Kennedy and Joe Louis, John’s tour of Arlington National Cemetery is like no other, providing a unique and unforgettable window to those extraordinary stories in his compelling and inspirational graveside commentary. John’s Leadership Experience at Arlington National Cemetery is fully interactive and tailored to each group’s unique needs, with a full discussion of leadership themes and notable personalities along the way. Here at Arlington, each of the monuments and tombstones speak to us. All that remains for us is to listen. Now everyone can join John for this 3-hour tour! 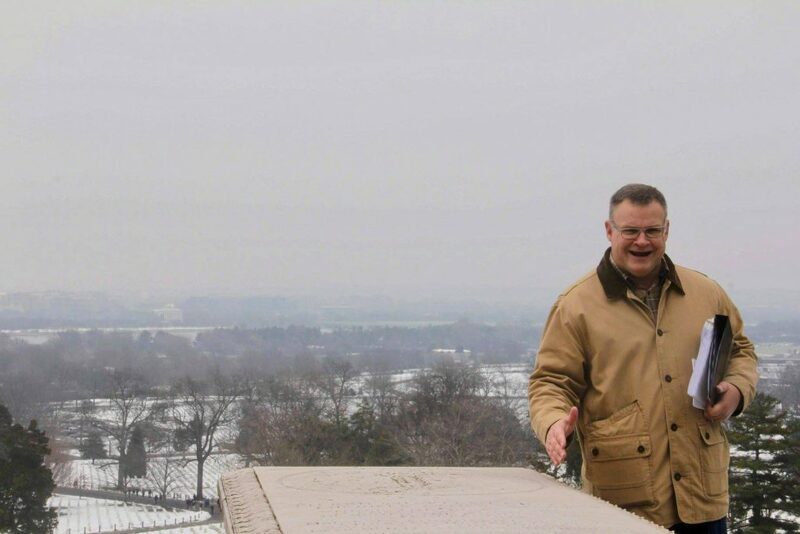 While John typically offers customized versions of this Walking Tour of Arlington National Cemetery Leadership Experience to corporations, he is excited to now be offering this tour to the public, once a month. Adults: $40 per person. Children ages 12 – 16 are $15, and under the age of 11 are FREE. All tours are from 9am-12pm on dates noted below. Recommend parking at the Arlington National Cemetery Visitors Center. Meet at the JFK Gravesite (At the end of “Weeks Avenue”). Dress warmly and wear comfortable shoes. All tours are weather permitting. Should an inclement weather cancellation occur, an announcement will be made 48 hours in advance of the event date via email to all ticket holders. All tickets purchased will be refunded in full within 24 hours after the cancellation. Questions should be directed to claire@johnfenzel.com. As a retired senior Army Special Forces Officer (Green Beret) and author of three acclaimed novels, John shares his experiences from the West Wing of the White House and the E-Ring of the Pentagon, to the many war zones he has operated in around the world. John relates the power of humanity in the face of searing conflict; of friendship in the wake of crisis; overcoming adversity; and the enormous value of storytelling, its lost art, and the tremendous importance it holds for leaders and for future generations alike. Whether he is delivering a Keynote or a seminar, John is always bold, thoughtful and dynamic in his presentation. With high takeaway quality, and punctuated with personal stories that extend from the White House Situation Room to conflict zones in the Middle East, his message is powerful, entertaining, and is always delivered eloquently—with the kind of high energy, humor, and passion that everyone in attendance will remember for years to come. John lives with his wife and three children in Annapolis, MD. John is the author of three acclaimed novels, The Lazarus Covenant (2009), The Sterling Forest (2016) and The Fifth Column (2018). For more information on John and his leadership development keynote lectures and battlefield tours visit his website at www.johnfenzel.com. This entry was posted in Blog and tagged Arlington National Cemetery, Battlefield Tours, D.C., events, history, johnfenzel, leadership, leading, thoughtyoudwanttoknow.